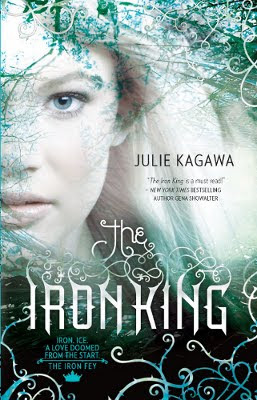 The Iron King [Book Review] – my books. my life. When a changeling replaces Meghan’s 4-year-old brother, she discovers her best friend is THE Puck and follows him into faery land to find Ethan. I wanted to like this book. And at times I did. But other times I grew uninterested. This book had too much action. Every chapter was just bam-bam-bam and barely left you time to catch your breath. There are definitely books that are too slow, but this one erred the other way. I think it would have been better had Meghan encountered half the obstacles. I also figured out the ended super early. I’m not completely sold on this series. Does it get better? Should I keep reading? I read The Iron Queen, and it was fun, and pretty memorable. I didn’t read the first or second book in the series, so I felt a little lost when it came to references and characters from the other books, but I thought it was a fun little read. I’m sorry this one didn’t work out for you though. I read the first two books in the series, and I enjoyed them. I didn’t really like them as much as others, and it doesn’t really bother me if I continue the series or not. I’m not really sold on them either.